Last friday, where most of the people were still in the Raya Holiday mood, we went to the Jln Pasar nearby to have roasted goose for lunch! The owner were very friendly, always smile on the face while taking orders and also delivery. The speed of the service also quite fast... its on par with the famous Char Siew @ Jln Alor... within minutes our order were served. The roasted goose... im not sure whether this is my 1st time eating or not... but im likes it. the taste, refresh some of my sweet memory! 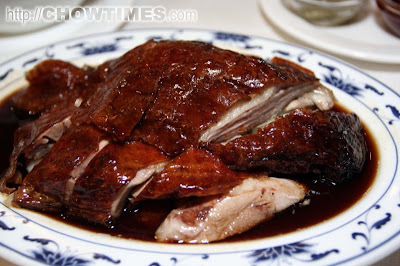 i suddenly missing the roasted duck in London. 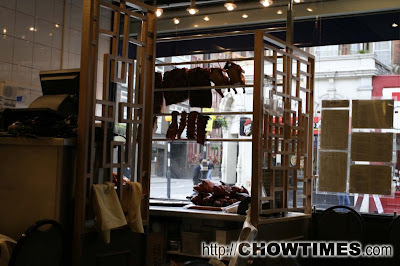 The famous n tasty Chinese Restaurant nearby the Bayswater station if my memory serve me well. 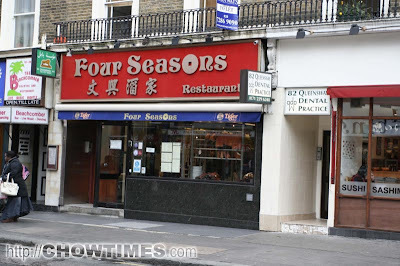 OMG...OMG... a few second google with "duck, Bayswater" it come out that we were ate at The Famous Four Seasons... Now i know why its so many people and long Q while we passby. We told ourselves that, we must try it once before we were leaving London. i remembered, while we were in London, we were staying at the Malaysian Hall the cheapest accommodation option which available to us as Malaysian. Yeah, is this restaurant... im missing the Four Seasons Duck! Its confirmed i ate at this shop before! Four Season @ London, I'll be Back!!! picutres are from chowtimes which i found from google.